Get to know a little about the characters who will be featured in "Born To Rein"
Born Jan. 15, 1896 at Aurora, Neb., Marion Van Berg became one the nation’s leading thoroughbred horse trainers and owners in victories 14 times, including 11 in a row from 1960-1970. He was also the leading money-winning owner four times (1965, 1968-1970). Van Berg was the trainer of record of almost 1,500 winners. He was the first inductee of the Nebraska Racing Hall of Fame. Marion Van Berg was inducted into the National Museum of Racing’s Hall of Fame in 1970. Jack Van Berg grew up as a stable hand for his father, Hall of Famer Marion Van Berg. In a career that spanned from 1957 until his death on Dec. 27, 2017 at the age of 81, Jack Van Berg won 6,523 races and had purse earning of almost $86 million. He ranked fourth in the nation for all-time in wins at the time of his death. Born on the Frank Nerud family homestead ranch on the Scotts Bluff, Box Butte and Sioux County borders north of Lake Minatare on Feb. 9, 1913, John “got the bug” to race horses at the Scotts Bluff County Fairgrounds in Mitchell. He graduated from Minatare High School in 1931. By 1948, he was training horses for several National Hall of Famers. After being inducted into the National Museum of Horse Racing Hall of Fame in 1972, Nerud assisted in the early development, co-founded and marketed the prestigious Breeders’ Cup Classic. 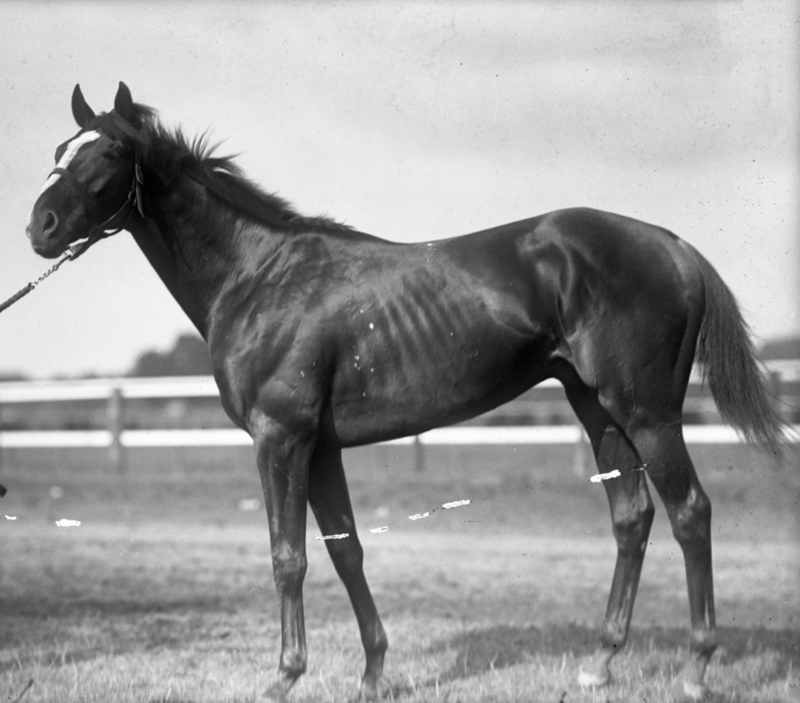 Sir Barton became the first horse to win the triad of races which would later be popularized as the Triple Crown. Bred by John E. Madden at Hamburg Place near Lexington, Ky., Sir Barton was a son of Star Shoot out of the Hanover mare Lady Sterling. Madden bred five Kentucky Derby winners and was America’s leading breeder for 11 consecutive years in races won. Sir Barton was sold to the U. S. Army Remount Service. He served at Fort Royal in Virginia and then was transported to Crawford, Nebraska at Fort Robinson.